Some senators are pushing back against a Conservative proposal to take the Senate energy committee on the road as part of its study of the Liberal government's controversial overhaul of environmental assessment legislation — calling the travel pitch an unnecessary and costly exercise. Some senators are pushing back against a proposal to take the Senate energy committee on the road as part of its study of the Liberal government's controversial overhaul of environmental assessment legislation, calling the travel pitch an unnecessary and costly exercise. Conservative members of the Red Chamber say some of the committee's work on Bill C-69 should be done outside of Ottawa in places where the overhauled law could have its greatest impact — in resource-rich provinces like Alberta and Saskatchewan and in Atlantic Canada, where offshore oil dominates. 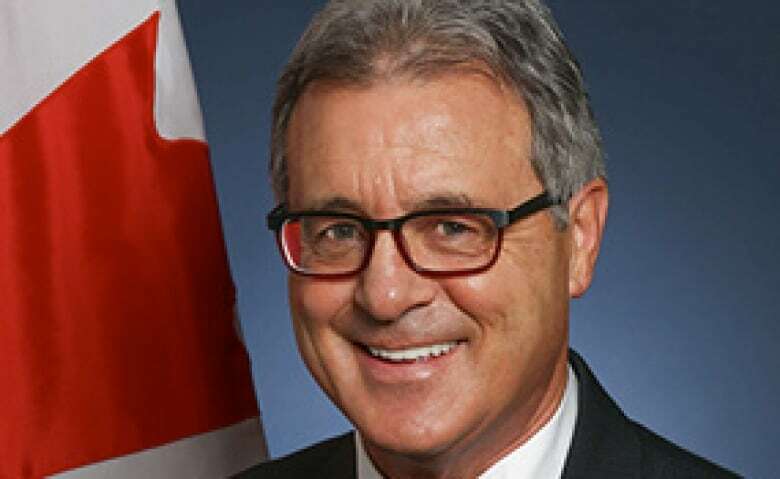 Alberta Sen. Grant Mitchell, the government's whip in the upper house and the sponsor of the legislation, has been making calls to Independent and Liberal members of the committee urging them to vote down a travel proposal. He said there's a risk that launching a cross-country tour could lead to legislative delays and set a precedent. "To say we should travel now is to say we should travel for every bill," Mitchell said in an interview with CBC News. "The overriding concern is, it's a lot of money. We don't need to do it because we can hear from anybody we want to hear from in Ottawa. Nobody will be disadvantaged by that. We'll pay for them to come. And we have pressures of time." Mitchell said that while he thinks the legislation is a "very good bill," he believes there's room for improvement and senators can easily make those fixes from Ottawa. The Tories, meanwhile, say the government and its Independent supporters are running scared from the bill's critics. 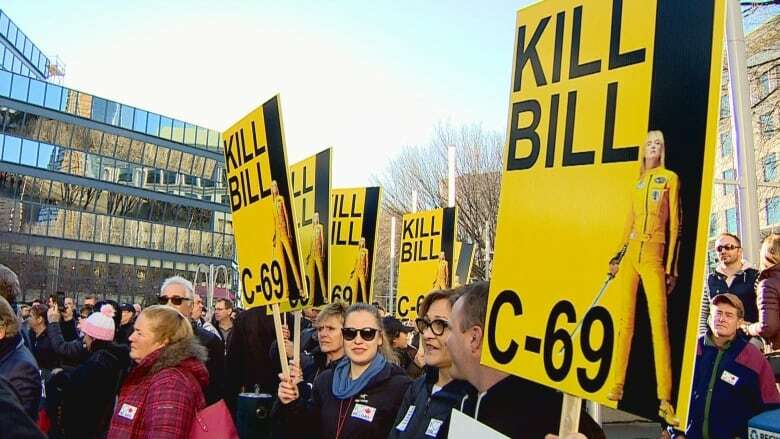 Bill C-69 is one of the last big pieces of legislation the government wants passed before the next election. And with the Senate's return delayed to mid-February because of acoustic issues with the new chamber, the legislative timeline in the upper house is already facing unusual time constraints. The overhaul follows the Liberal party's election promise to radically rework the regulatory framework that governs the approvals process for major natural resources projects in this country. The Liberal government has offered up the new Impact Assessment Act as a way to streamline the approvals process for natural resources projects while bolstering consultation efforts with Indigenous communities affected by extractive industries. Opponents of the legislation have branded the legislation the "no pipeline ever" bill because of its perceived failings. Independent B.C. 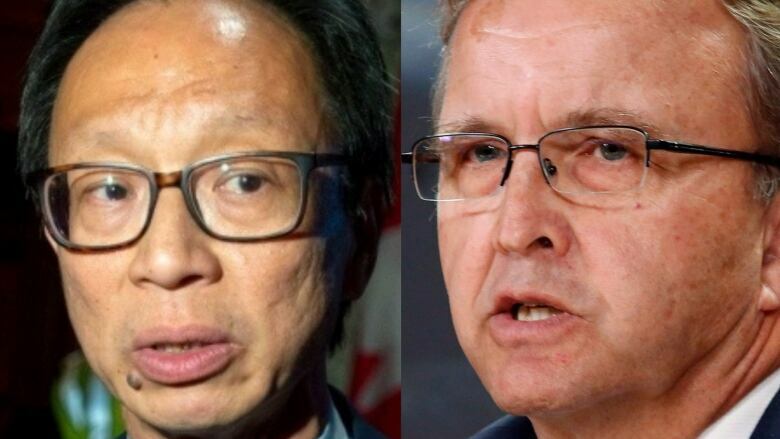 Senator Yuen Pau Woo, leader of the group of mostly Trudeau-appointed senators and himself a member of the energy committee, said a cross-country committee tour to meet with interested parties isn't worthwhile in an era of videoconferencing. "Travel is the exception rather than the rule and we should not be cavalier about travelling," he said in an interview with CBC News. "Certainly we should not travel for the sake of travel and the case has to be made that the witnesses we need to hear from — relevant witnesses — cannot be presented through video conferencing or by having them travel to Ottawa to give their testimony." Woo said he and his colleagues are not trying to shield the bill from scrutiny by opposing travel, nor are they fearful of face-to-face backlash from the many people who are worried about some of the bill's more controversial provisions. "There should be no desire to create situations that are confrontational," Woo said. Conservative Nova Scotia Sen. Michael MacDonald, the deputy chair of the energy committee, said it's "balderdash" to suggest there isn't time between now and June to hear from Canadians where they live and make amendments to a piece of legislation he said is "crucial" to the country's economic future. He said any such changes should be gleaned from talking to people with a vested interest in the natural resources sector. "He's just running interference for the government," MacDonald said of Mitchell. "We have lots of time for a thorough review. "I think there's a number of people — not just Tories — that think we should go out and talk to people, that's for sure. I'm fairly well informed [on energy issues] for a layman, but whenever I go out and talk to people I'm a whole lot better informed. I learn something. I always do." ​Committee members will vote next week on whether they should take the body on the road. The current regulatory regime, brought about by the former Harper government, has been the target of criticism from both environmentalists and industry. Projects approved under the current law have faced entrenched opposition from Indigenous people and unfavourable court decisions — the delay-plagued Trans Mountain expansion pipeline project being the best-known example. The new law would replace a web of competing regulatory bodies with an Impact Assessment Agency of Canada, a single entity that would be empowered to carry out a review of all major projects in this country — assessing not just environmental factors but also health, social and economic impacts, and effects on Indigenous people, over the long term. The bill sets out defined timelines for the Impact Assessment Agency's review of these projects — a response to industry claims that the regulatory process is too long and unpredictable. The bill also would give the minister of the environment and/or cabinet (depending on the type of project) the final call on whether a project should get a green light. Oilpatch boosters, and representatives from other natural resources industries, fear the bill could devastate an industry already grappling with constrained pipeline capacity and depressed commodity prices. The addition of a new "pre-assessment" process — which can last for up to 180 days — has some in the energy sector worried the approvals process will only take longer. Meanwhile, the 'standing test' — which determined who could testify before the regulator assessing a project — has also been removed, paving the way for greater participation by Indigenous groups (and any group that can demonstrate an interest in the project). That's another change critics say will lead to yet more delays. Others fear the bill gives too much latitude to the environment minister or cabinet to arbitrarily delay a project or kill it outright, even after it has secured a go-ahead from regulators. "You have to do a whole lot more than just tweak this bill," MacDonald said. Mitchell, a former leader of the Alberta Liberal party and an Edmonton native, said he's sensitive to the concerns of his fellow Albertans. "It's deeply emotional. The energy industry is a deeply significant, emotional part of who we are as Albertans, just like languages for Quebecers," he said. "This is how we feed our families." The senator said he wants to overhaul a regime that has so far failed to see a major new pipeline to tidewater built. "I think this is way to do it. I think it's a good bill. We want to improve the process so we can get good projects done properly and get them through the courts so they're not turned down." He said the Liberal government is committed to the oilpatch, adding it would not have forked over billions to buy the Trans Mountain pipeline if it wasn't willing to invest in the sector's success.